Never underestimate that a major news story can break while you are cooking dinner--which is what happened this evening. 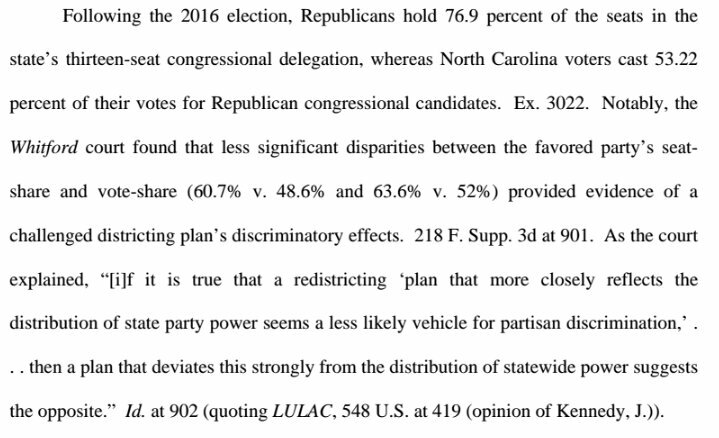 The consolidated cases, Common Cause v. Rucho and the League of Women Voters of NC v. Rucho, sought to declare the redrawn 2016 congressional district map unconstitutional because of the partisan lean of the maps, favoring Republicans by a 10-3 margin. The maps were redrawn following an earlier decision that struck down the original 2011 maps as unconstitutional because of racial gerrymandering. 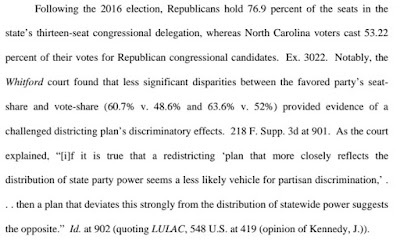 In redrawing the maps, NC Republican leaders in the state's General Assembly relied on "partisan" factors rather than racial factors to secure their dominance. In rendering their decision, the judges presented a very clear basis for their decision, and laid out some novel justifications for why they think partisan gerrymandering is unconstitutional in this case: not only does this lop-sided GOP map violate the equal protection of the law, it violates the First Amendment and Article I of the U.S. Constitution. The first major hurdle that the panel had to overcome has been the major legal issue confronting all challenges to partisan gerrymandering: that of the "justiciability" of such a case, or whether the courts could hear this kind of a case at all. In the past, the court would likely say this issue of redistricting, and the subsequent claims of gerrymandering (or favoring one party over the other by the drawing of the lines) to be a "political question," best left to the political branches (i.e., Congress, the president, or the state legislatures) to resolve. 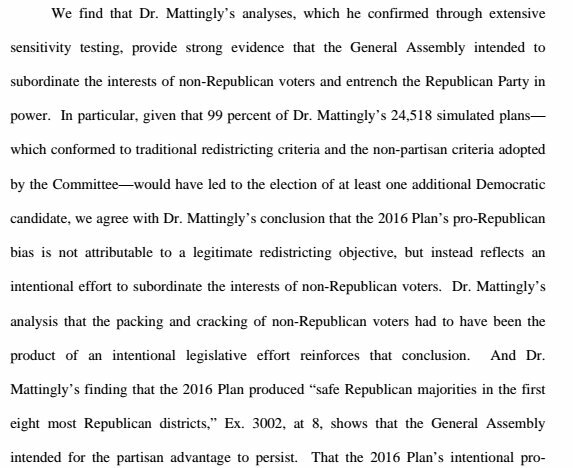 But in declaring that they can intervene in this kind of partisan gerrymandering, the judges have laid out a intriguing approach to getting around the "political question" and the issue of justiciability: through the First Amendment. 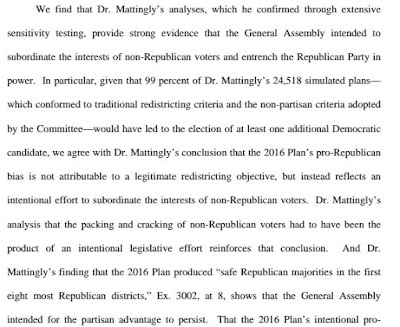 The judges also summarily discount the argument of "partisanship has always been a part of redistricting" by noting that while it was the case going back to the founding of the republic, that political parties were "discouraged" by the Founders. With the pending decision in the Wisconsin redistricting case at SCOTUS, it would seem that this case is waiting in the wings for a final decision on redistricting and gerrymandering. With this panel's decision to either have the General Assembly redraw, for a third time, a new set of congressional districts or allow a special master to do so, the likelihood is that this case will be immediately appealed to SCOTUS and that a stay may be issued on the ruling, pending the Wisconsin decision. 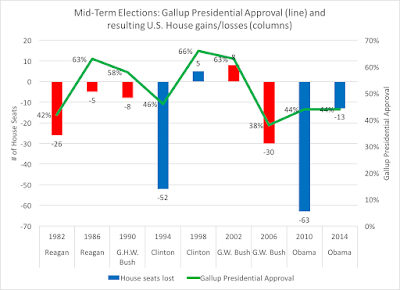 Of course, from a cynical political point of view, while Republicans will be furious at the decision (see the NC GOP Director's comments), with the potential for a Democratic wave coming this year, some consideration of perhaps a "less greedy" congressional map, drawn again at the hands of Republicans, may help to blunt some of the potential fallout from November's election. 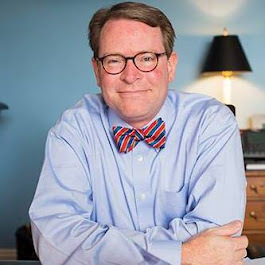 For Democrats, the "special master" route would be the only acceptable author of a redrawn, and less partisan, road map to competitiveness in the Old North State's congressional districts.